I have written a lot throughout my life. I’ll still be doing it for some time, as words are my lifeblood. 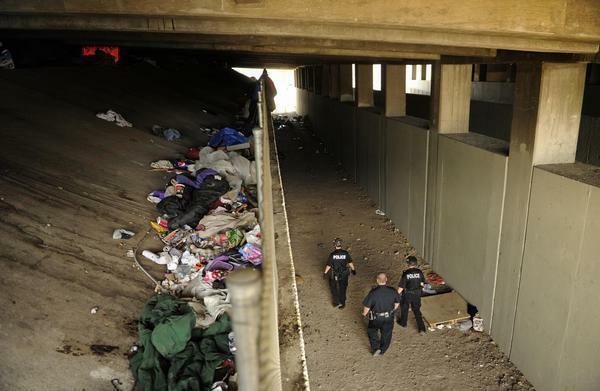 Denver, Colorado, is one of the latest American cities to join the so-called ‘Hall of Shame’ of metropolises actively seeking to turn homelessness into a crime. Last Tuesday, Denver city officials and a large police contingent showed up to enforce a removal order for 150 people living on the city’s sidewalks. Denver is the latest US city to enforce such orders. Hawaii, Texas and Washington state, were the pioneers in the morally indefensible stance of citizen ostracization. Many cities have already banned living inside vehicles, camping in public areas, and begging. These bylaws are particularly damaging, as they often lead to the impoundment of vehicles, which normally means that the person affected loses all their belongings. Across more and more places in the US, anyone deemed to be an eyesore for the upper castes, a nuisance, or a drain on society, is being pushed down a long road to nowhere. Last August, the mayor of Portland, Oregon, announced that a ‘safe sleep’ pilot initiative would be terminated. ‘Safe sleep’ allowed homeless people to sleep on the streets and be left alone by the authorities. However, the mayor ended the initiative as some believed it caused ‘confusion’ among certain people who took it to mean that public camping had become legal. As they were moved on, people in Denver chanted “No handcuffs. Give us homes,” to no avail. Police officers have no time for compassion, it seems. A lot of metropolitan enclaves across the United States have seen a dramatic spike in homelessness. Rising home prices mean that affordable housing is becoming increasingly unattainable for those on ‘regular’ incomes. A similar problem is occurring here in Ireland right now. The Government may be planning to build thousands of new homes, but since only a privileged sector of society will be able to afford them, they might as well be building none. The act of criminalizing homelessness is nothing new, of course. Mankind has seen plenty of similarly wretched behaviour through history. During the Peasant’s Revolt in England in the 1830s, for instance, laws were passed to enable constables to collar vagabonds. If they resisted, they’d be sent to jail and kept on stocks for three days and three nights. Later on, whipping was added to the punishment. Throughout the mid 16th century, vagrants could be subjected to two years of servitude and being branded with a ‘V’ for their first offence. Death for their second. Humanity has not shown much pity, compassion, or understanding for homelessness. The National Law Center on Homelessness and Poverty is an advocacy group organized to help people facing homelessness across the United States. The group has called for some of the recent laws passed to criminalize homelessness to be deemed unconstitutional. According to the group, such laws further marginalize those affected, imposing even more barriers to accessing education, housing, or employment. The presidential victory of Donald Trump, an elitist businessman to the core, is likely to compound the issue even further. Criminalising homelessness is just a short step away to internment. ​The Icelandic justice system upholds the people’s best interests, sending corrupt and thieving bankers headlong into slam, allowing the clay-footed giants to fall so the financial framework of the country can be rebuilt on a sound footing. Meanwhile, the Irish Government enshrines the same corrupt and thieving bankers, covering up their cloak and dagger activities, approving a blanket bailout that fast-tracked the country into years of austerity and recession, and handing over Ireland’s economic sovereignty to a cadre of equally corrupt European puppeteers. In another display of the escalating tensions between the US and Russia, the latter has deployed a battery of Iskander-M missile systems in its Kaliningrad outpost, bordering Poland and Lithuania. The Iskander-M is a short-range ballistic missile system with an effective operational range of about 500km. Launched from a mobile platform, the weapon can carry both conventional and nuclear warheads. 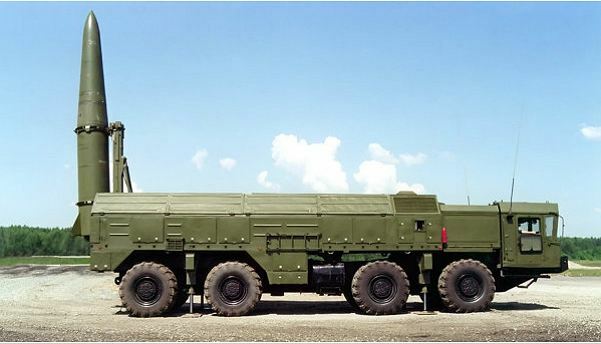 Some modified versions of the Iskander-M ordnance are rumoured to have an extended range of 700km, which would put them within striking distance of the German capital, Berlin. Kaliningrad was once Konigsberg, the capital of the East Prussia province. It borders with Poland in its southern fringe and with Lithuania on the north. The enclave was recaptured from the Germans in 1945 and renamed ‘Kaliningrad’ the following year. 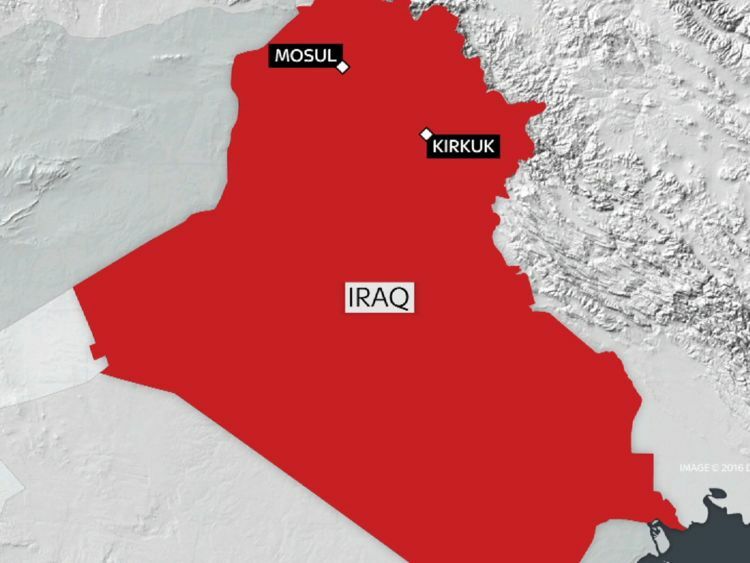 According to Russian authorities, the deployment is part of an ongoing ‘exercise’, but the move is only likely to exacerbate relations between Russia and the US already strained over the Syrian and Ukrainian conflicts. Last July, NATO announced that four fresh battallions would be deployed into Estonia, Latvia, Lithuania and Poland, to reinforce frontline border troops. The deployment of the missile systems is likely to trigger a NATO-Russia Council meeting to discuss this, and other security issues. 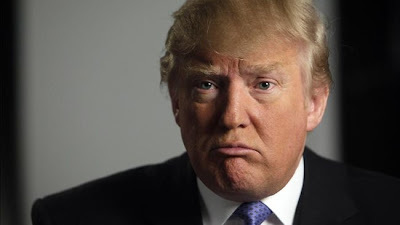 Donald Trump is a dead man walking, politically speaking. In fairness, no man dubbed ‘groper-in-chief’ could ever dwell in the Oval Office. Mr. Trump’s campaign, already tainted in numerous ocassions by lewd, offensive, and inflammatory rhetoric directed at women and ethnic minorities, and particularly Mexicans, has now imploded altogether over his brash comments regarding how he treats women. Mr. Trump appeared to be unaware that his microphone was on as he spoke candidly about his treatment and regard for women. He was on bus alongside TV- and radio host Billy Bush, on his way to the Days of Our Lives set, where he was due to appear in a cameo. The audio records Trump speaking about his attempt to seduce a married woman. It is unclear when the alleged seduction took place, but the conversation was recorded after Trump married his third wife, Melania. Trump says “I moved on her, and I failed. I’ll admit it,” talking about the married woman. The forced apology did very little for Trump, other than reaffirm his own hypocritical view of the world. It looked awkward, stilted, and artificial, and was delivered reluctantly and with as much honesty as a charlatan offering the elixir of life from the back of his one-horse cart. Former Republican canditate John McCain, and former Secretary of State Condoleezza Rice also announced that they would not support Trump’s candidature. The ‘groper-in-chief’ himself strenuously emphasized that he will not quit the race after the incrimatory audio surfaced. He is due to face off against Hillary Clinton in a second live debate later today, but the damage to his aspirations is clear, irreparable, and terminal.